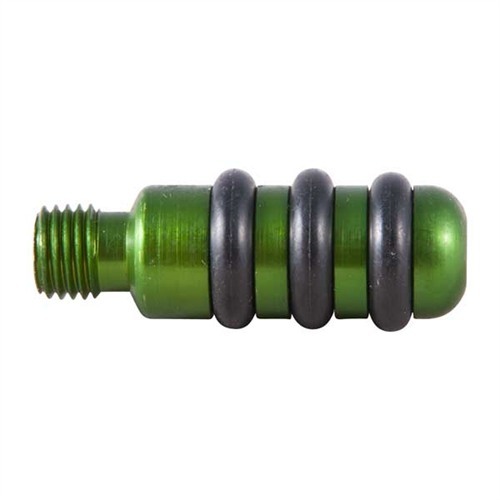 Mfr Part: J28 689466088052 Solid aluminum jags with rubber O-rings are ideal for cleaning the bore of your gun without worrying about damaging the rifling. O-rings press patch firmly into bore surface for efficient cleaning action on powder, lead, copper, and plastic fouling. For use with patches, steel wool, and bronze wool. Shotgun and Black Powder jags are color coded; Rifle/Handgun jags are numbered for easy identification. In order to use TCS Manufacturing jags, you must use round patches that are .015" thick. Mfr Part: J20 689466088045 Solid aluminum jags with rubber O-rings are ideal for cleaning the bore of your gun without worrying about damaging the rifling. O-rings press patch firmly into bore surface for efficient cleaning action on powder, lead, copper, and plastic fouling. For use with patches, steel wool, and bronze wool. Shotgun and Black Powder jags are color coded; Rifle/Handgun jags are numbered for easy identification. In order to use TCS Manufacturing jags, you must use round patches that are .015" thick. Mfr Part: J12 689466088038 Solid aluminum jags with rubber O-rings are ideal for cleaning the bore of your gun without worrying about damaging the rifling. O-rings press patch firmly into bore surface for efficient cleaning action on powder, lead, copper, and plastic fouling. For use with patches, steel wool, and bronze wool. Shotgun and Black Powder jags are color coded; Rifle/Handgun jags are numbered for easy identification. In order to use TCS Manufacturing jags, you must use round patches that are .015" thick. Mfr Part: 50CALYELLOW Solid aluminum jags with rubber O-rings are ideal for cleaning the bore of your gun without worrying about damaging the rifling. O-rings press patch firmly into bore surface for efficient cleaning action on powder, lead, copper, and plastic fouling. For use with patches, steel wool, and bronze wool. Shotgun and Black Powder jags are color coded; Rifle/Handgun jags are numbered for easy identification. In order to use TCS Manufacturing jags, you must use round patches that are .015" thick. Mfr Part: J4ORPSIZE2 689466088014 Solid aluminum jags with rubber O-rings are ideal for cleaning the bore of your gun without worrying about damaging the rifling. O-rings press patch firmly into bore surface for efficient cleaning action on powder, lead, copper, and plastic fouling. For use with patches, steel wool, and bronze wool. Shotgun and Black Powder jags are color coded; Rifle/Handgun jags are numbered for easy identification. In order to use TCS Manufacturing jags, you must use round patches that are .015" thick. 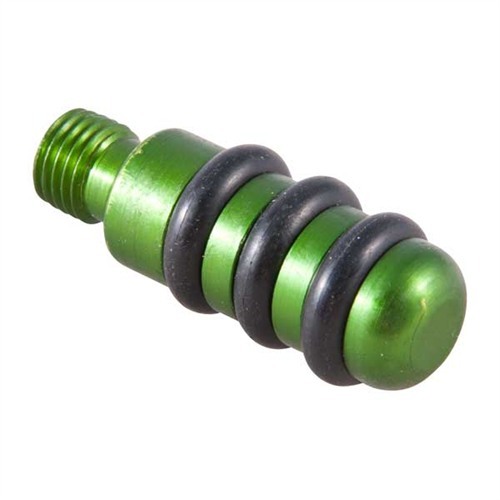 Mfr Part: J45RPSIZE4 689466088021 Solid aluminum jags with rubber O-rings are ideal for cleaning the bore of your gun without worrying about damaging the rifling. O-rings press patch firmly into bore surface for efficient cleaning action on powder, lead, copper, and plastic fouling. For use with patches, steel wool, and bronze wool. Shotgun and Black Powder jags are color coded; Rifle/Handgun jags are numbered for easy identification. In order to use TCS Manufacturing jags, you must use round patches that are .015" thick. Mfr Part: J9RPSIZE1 689466088007 Solid aluminum jags with rubber O-rings are ideal for cleaning the bore of your gun without worrying about damaging the rifling. O-rings press patch firmly into bore surface for efficient cleaning action on powder, lead, copper, and plastic fouling. For use with patches, steel wool, and bronze wool. Shotgun and Black Powder jags are color coded; Rifle/Handgun jags are numbered for easy identification. In order to use TCS Manufacturing jags, you must use round patches that are .015" thick. 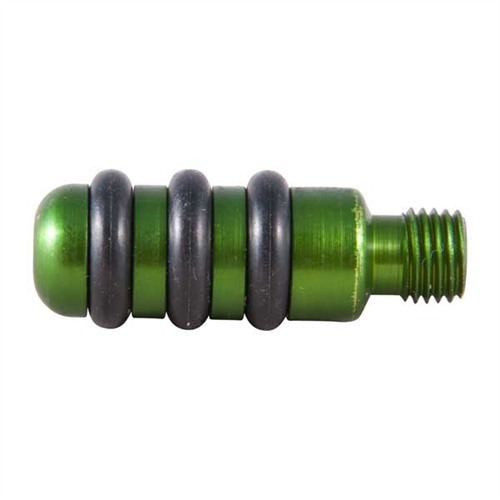 Mfr Part: J44RPSIZE3 689466088175 Solid aluminum jags with rubber O-rings are ideal for cleaning the bore of your gun without worrying about damaging the rifling. O-rings press patch firmly into bore surface for efficient cleaning action on powder, lead, copper, and plastic fouling. For use with patches, steel wool, and bronze wool. Shotgun and Black Powder jags are color coded; Rifle/Handgun jags are numbered for easy identification. In order to use TCS Manufacturing jags, you must use round patches that are .015" thick. Mfr Part: J25725CAL65M Solid aluminum jags with rubber O-rings are ideal for cleaning the bore of your gun without worrying about damaging the rifling. O-rings press patch firmly into bore surface for efficient cleaning action on powder, lead, copper, and plastic fouling. For use with patches, steel wool, and bronze wool. Shotgun and Black Powder jags are color coded; Rifle/Handgun jags are numbered for easy identification. In order to use TCS Manufacturing jags, you must use round patches that are .015" thick. Mfr Part: J2436MM Solid aluminum jags with rubber O-rings are ideal for cleaning the bore of your gun without worrying about damaging the rifling. O-rings press patch firmly into bore surface for efficient cleaning action on powder, lead, copper, and plastic fouling. For use with patches, steel wool, and bronze wool. Shotgun and Black Powder jags are color coded; Rifle/Handgun jags are numbered for easy identification. In order to use TCS Manufacturing jags, you must use round patches that are .015" thick. Mfr Part: J2847MM 689466088847 Solid aluminum jags with rubber O-rings are ideal for cleaning the bore of your gun without worrying about damaging the rifling. O-rings press patch firmly into bore surface for efficient cleaning action on powder, lead, copper, and plastic fouling. For use with patches, steel wool, and bronze wool. Shotgun and Black Powder jags are color coded; Rifle/Handgun jags are numbered for easy identification. In order to use TCS Manufacturing jags, you must use round patches that are .015" thick. 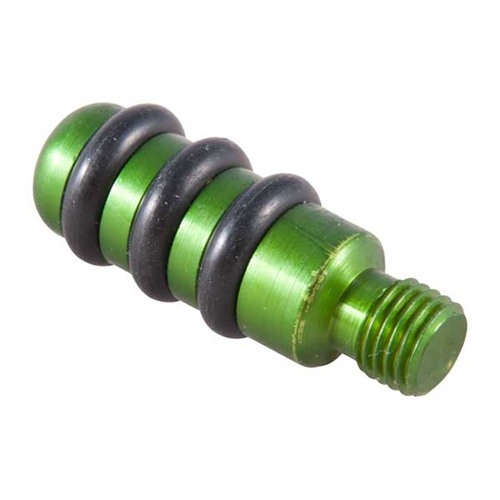 Mfr Part: J22 689466088809 Solid aluminum jags with rubber O-rings are ideal for cleaning the bore of your gun without worrying about damaging the rifling. O-rings press patch firmly into bore surface for efficient cleaning action on powder, lead, copper, and plastic fouling. For use with patches, steel wool, and bronze wool. Shotgun and Black Powder jags are color coded; Rifle/Handgun jags are numbered for easy identification. In order to use TCS Manufacturing jags, you must use round patches that are .015" thick. Mfr Part: J27068MM Solid aluminum jags with rubber O-rings are ideal for cleaning the bore of your gun without worrying about damaging the rifling. O-rings press patch firmly into bore surface for efficient cleaning action on powder, lead, copper, and plastic fouling. For use with patches, steel wool, and bronze wool. Shotgun and Black Powder jags are color coded; Rifle/Handgun jags are numbered for easy identification. In order to use TCS Manufacturing jags, you must use round patches that are .015" thick. Mfr Part: J338RP Solid aluminum jags with rubber O-rings are ideal for cleaning the bore of your gun without worrying about damaging the rifling. O-rings press patch firmly into bore surface for efficient cleaning action on powder, lead, copper, and plastic fouling. For use with patches, steel wool, and bronze wool. Shotgun and Black Powder jags are color coded; Rifle/Handgun jags are numbered for easy identification. In order to use TCS Manufacturing jags, you must use round patches that are .015" thick. Mfr Part: J410 689466088069 Solid aluminum jags with rubber O-rings are ideal for cleaning the bore of your gun without worrying about damaging the rifling. O-rings press patch firmly into bore surface for efficient cleaning action on powder, lead, copper, and plastic fouling. For use with patches, steel wool, and bronze wool. Shotgun and Black Powder jags are color coded; Rifle/Handgun jags are numbered for easy identification. In order to use TCS Manufacturing jags, you must use round patches that are .015" thick.